Nail biter: Chanel College, Gladstone took home silver at the QISSN division 3 finals, losing by only one point to Shalom College, Bundaberg. 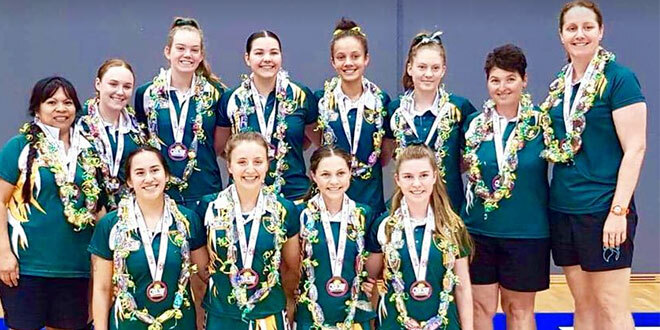 STUDENTS from across the state gathered at Ryan Catholic College, Townsville, for the 2018 Queensland Independent Secondary Schools Netball carnival. This year’s carnival was officially opened on July 1 and concluded on July 6. St Mary’s Catholic College, Cairns defeated St Mary’s Catholic College, Kingaroy 16-15 to close out the division 1 competition and lift the Jemma Mi Mi Shield. Jakina Ward received the Most Valuable Player award. Opening ceremony guest speaker and Australian netball legend Sharon Finnan-White spoke to the young players about the importance of taking responsibility for their progress before the week’s play began. “You must have this internal desire, motivation and discipline in order to achieve your goals and your dreams,” she said. Ms Finnan-White also spoke about her life’s passion, helping girls access the game and all its benefits. “As one of only two Aboriginal women to have represented in the Diamonds team in the history of netball, I’m passionate about supporting Aboriginal and Torres Strait Islander girls to participate in netball and progress through the pathway just like I did,” she said. “When I retired from the Diamonds team in 2000, I turned my focus to coaching. Ms Finnan-White has set up sporting camps to increase participation among Indigenous Australians and to encourage the sport through carnivals too. This encouragement has seemingly taken hold, as the popularity of the QISSN carnival has only grown since its beginnings. At its inaugural carnival in 2000, QISSN’s competition was made up of a modest 16 teams. 2018 saw the carnival expanded to 64 teams. 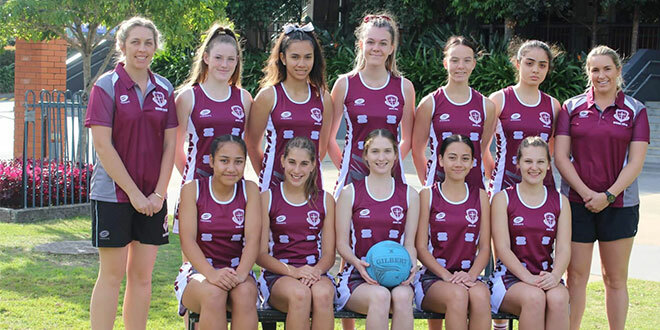 Strong team: Clairvaux MacKillop College, Mt Gravatt fielded its finest netball players to the 2018 QISSN competition.